The moment I picked up the last book of the famous beloved series written by J.K Rowling, it was difficult to set it down. 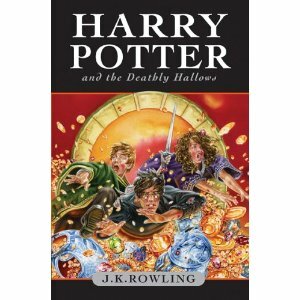 The writing style that J.K Rowling interprets within this book is as captivating from the first word to the last. Characters ranging from the much-loved Harry Potter to the truly underestimated Severus Snape. Every emotion that the character displays is genuinely translated from the page, which makes you really feel for some characters. Even when J.K kills one of the favourites from previous book, the emotion rages into you. Each seen is easily understood which doesn’t loose you as some books can. The plot is clear and the dictation which scenes take placed is truly vivid for those who have a flowing imagination. From the previous novels, the characters have really grown and matured. Forming new relationships and abolishing others, each fight and/or love scenes (especially between Ron and Hermione), really keep you on your toes. Of course, as some characters have grown this particularly includes Voldermort who reveals his true evil potential in the last book. While he reveals his evil potential Bellatrix reveals her lasting devotion. There are secrets that will keep you guessing until the very last chapter. Readers will find past being put into present, while some are haunting others make put the last pieces of the puzzle together, finding that some characters that you usually disliked may become your favourite. In conclusion, this book is one of the most enjoyable and exciting journeys that J.K Rowling lets you undertake, when really the journey is only limited by the readers imagination. If you haven’t read the whole series I recommend reading from the beginning Harry Potter and the Philosopher's Stone, which will make you fall in love with the series like millions of fans all around the world. Well done J.K Rowling, a definite 5/5. Totally agree! J.K. Rowling is one of my favorite author... by far. I wish everyone could appreciate her books like us fans do.